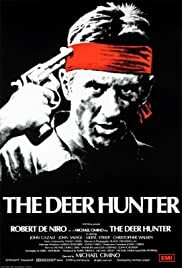 by arrangement with Rhino Records Inc.
"The Deer Hunter" is not a film about the Vietnam war, as it is wrongly said in many cases. "The Deer Hunter" is a film tells the story of 3 friends within about 5-6 years, during which their friendship is repeatedly put to the test. It is primarily a picture of the contemporary life of a group of people around 30 living in a small American town during the Vietnam war. The first hour of the film portrays the every day life of three friends Mike (De Niro), Steven (Savage) and Nick (Walken), who look forward to Steve's wedding but at the same time have to prepare for their commitment in Vietnam. The main actors (above all De Niro and Walken) perfectly picture the character's inner conflict between their easygoing home town life and the forthcoming assignment in Vietnam. Despite this conflict the characters don't show their concerns to their environment. Particularly Nick is worried about him and his friends leaving his home town and perhaps never coming back, but he only tells his best friend Mike of his thoughts, who is much more resolute and sees their engagement as a strong masculine act. Cimino manages to show the simple irrationality of young men, going to a senseless war from which they might never return for the only purpose of glory and approval, and abandoning their settled and happy life for it. The spectator just can't understand why those young men voluntarily sign for the army and give up everything they have. The passage from the small-town-idyll to the war cruelty is greatly pictured. Cimino does not show the three friends' way to Vietnam or the training, he immediately switches from a happy get-together to the cruel war captivity of the Vietcong. This passage perfectly underlines the contrast and the inexplicability of the three men's actions. 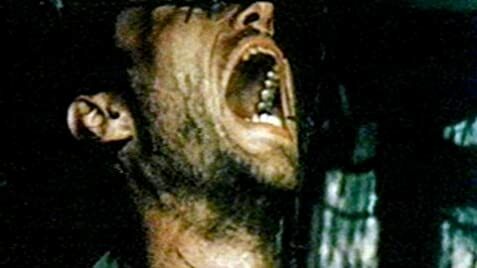 Although the passage that is set in Vietnam is only about one third of the whole film long, the war is omnipresent at any time, which is probably the best benefit of the whole film, Cimino does not need to bomb the spectator with pictures of crying children, mutilated soldiers or desert battlefields in order to illustrate the cruelty of war. Far from it! The changed behavior of all characters after the friends' returns tell more about wars' capability of changing someone's life, than anything else. And the fact that the many dreams that these three friends had before they went to Vietnam didn't come true, because of their longing for recognition by becoming an acclaimed veteran can even pluck your heartstrings. Cimino's great directing and the cast's awesome acting provide for a touching and honest drama about the friendship of a group of young men, that is destroyed by the Vietnam war.